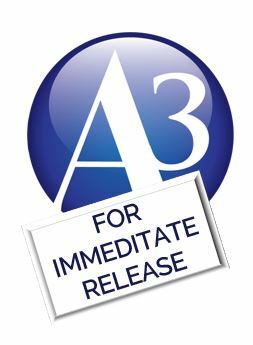 A3 media (A3), a media buying and planning agency, announced today the successful completion of a pilot program to test the application of blockchain technology in digital advertising. Blockchain acts as a third-party verification system to independently authenticate placements, sites, impressions and clicks. As a result of the positive outcomes from the pilot project, A3 plans to continue testing blockchain for digital advertising with partner, Lucidity Tech. If successful, A3 will be one of the first agencies in the region to offer the technology as a service for their clients. The viewability of online advertising, a measurement relating to whether an ad has been seen, invaded by bots or clicked on by a person, is a major concern for brands. Industry experts estimate that almost 40 percent of the money spent on digital advertising is wasted by deceptive and careless practices. While many attempts have been made to reduce the waste and fraud, few have held the promise of blockchain. The technology, developed by Lucidity Tech, acts as an incorruptible digital ledger of transactions. It verifies impressions and provides programmatic supply chain transparency through a neutral, decentralized shared register—capable of processing and verifying high volumes of data from multiple parties to reach consensus on the ads’ success. Lucidity checks the results of each campaign twice to authenticate their outcome. “As an agency, we’ve always been committed to transparency which is why blockchain technology appealed to us. Blockchain ingests data from across the programmatic supply chain to ensure that all the records being reported “match.” If discrepancies are found, that tells us that something suspicious is happening, possibly malicious, and we optimize away from those placements,” said Gussoni. The pilot project examined impressions and clicks. When blockchain was applied, the agency was able to identify placements with less than 1% discrepancy between the two trials. Results of the verified clicks showed a discrepancy of less than 4%. Regular impressions compared to confirmed impressions yielded a 3.5% discrepancy while regular clicks compared to confirmed clicks yielded a 15% difference. High discrepancy means there are issues with the placements which could be a result of bots or another type of fraud. “By removing those placements, we were able to increase our client’s campaign efficiency by 8%.” stated Tami Freeman, Director of Multi Media Client Strategy for A3. A3’s initial pilot will be followed by tests to examine fee transparency, digital publisher signature, and audience verification. A report of those outcomes is expected to be released in January 2019. To date, A3 is the only agency using their own funds, instead of a client budget, to participate in the blockchain pilot program.